Buy travel photography prints The misadventures of a restless photographer. Travel photographer and travel blogger, Tracie Howe, wanders the globe seeking out new adventures and photo opportunities to blog about. Join her for a unique perspective on travel, travel photography, and travel tips. My landscape and travel photography won’t look it’s best on your screen, my screen, or especially Facebook’s walls. The best they can possibly look is in printed form, hanging on your wall. I have several of my own images on my walls, framed and ready to be sold. I encourage people to purchase prints mounted on bamboo (my favorite!) or styrene. Canvas and Acrylic look great too! I now have an Etsy store! You can find popular and more recent images there! You can go straight over to my 500px profile if you think you know what you want, and order from there. Please note that I am still adding images there. I can also add photos there upon request. You can go to my SmugMug site , pick the photo you like, and see what I suggest for sizes. You can email me: tracie@traciehowe.com if you want something more custom made or need a little more help. Please make a note of the title of the photo and which site you found it on. Unfortunately, I don’t have one perfect place from which you can order online. Both 500px and SmugMug have different photos, prices, and printing options available. They are super easy to use. I still recommend getting a custom print straight from me for the most control and a guarantee of print quality for your chosen image. 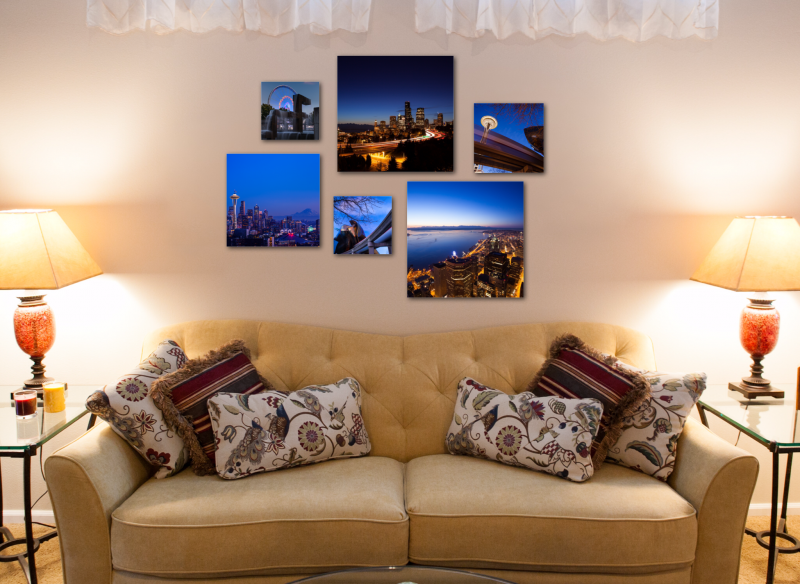 If you want multiple photos for your walls, this will require a little more work, but a lot more satisfaction. Of course, you are also welcome to use any of the previous ordering methods if you know what sizes you want for your wall collection. Yes, I do commissioned work! This can be for the blank walls of homes or businesses. I take on commissions when the project seems right for me and my work. Please only inquire if, based on the work you’ve seen, you think I will produce the kind of work that you want for your project. Suggesting a theme is the best way to go for a project with several images. For example “Seattle from above”. I will shoot in my style, with your theme in mind. I can also supplement new photos to go with photos that I’ve already taken. I require half payment up front, so that I don’t spend time shooting and editing for no reason if you decide you don’t want the results. There are various “attempt” fees associated with commissions, but this will vary for each project. Please email me your request with as many details as you can think of and I will be happy to explain more based on what you want. If you have more of a commercial project in mind, please inquire. My portrait and wedding work might be more relevant to your project, so please visit www.traciehowe.com .